She has no place to call her own. No quiet room for her to relax. No soft pillow to lie her head. Every night she lies on the floor with her blanket. She comes to class everyday with a smile. She comes everyday ready to learn. She comes everyday and tells me she loves me. I never knew because I never asked. I cried just a little so she wouldn’t see. And at that moment I stopped teaching. They are 6 and 7 years old. They have no place to call their own. No quiet room for them to relax. No soft pillows to lay their heads. Every night they lie on the floor with their blankets. Dayton community by providing beds and bedding for children dreaming on the floor. A child sleeping on a cold floor with nothing but a holy blanket. A newborn baby taken home to no crib. Children going to school with multiple bites from bed bug infestations. Mothers in despair because they are unable to provide a basic necessity for their children. These are the faces of Snuggled Up Inc. The population we serve move frequently and need beds that can be easily transported. The Dayton area is also having horrible bed bug infestations, so our cots are easily cleaned and disinfected. This past year we have seen tremendous growth due to continued community support and witnessed first hand that everyone is capable of making a difference in many extraordinary ways. Local businesses and organizations have supported us with donations and in-kind gifts for our fundraisers, children have forgone birthday gifts and have asked, instead, that donations be made to Snuggled Up Inc. Others have supported us with monetary donations and/or by attending one of our many fundraisers. With each donation we receive 100% goes directly out into our community in support of Snuggled Up Inc.’s mission. Thank you for your continued support of Snuggled Up Inc. Our passion and your generosity will transform lives! 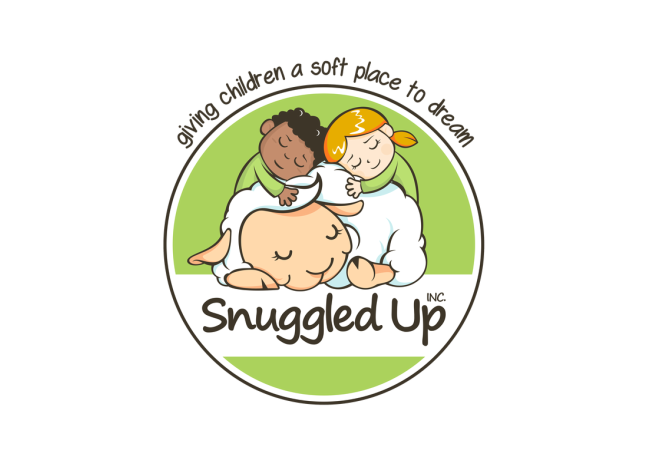 Have an event and donate the proceeds to Snuggled Up Inc. Host an Event or party! ​Snuggled Up Inc. helps needy families in our community.